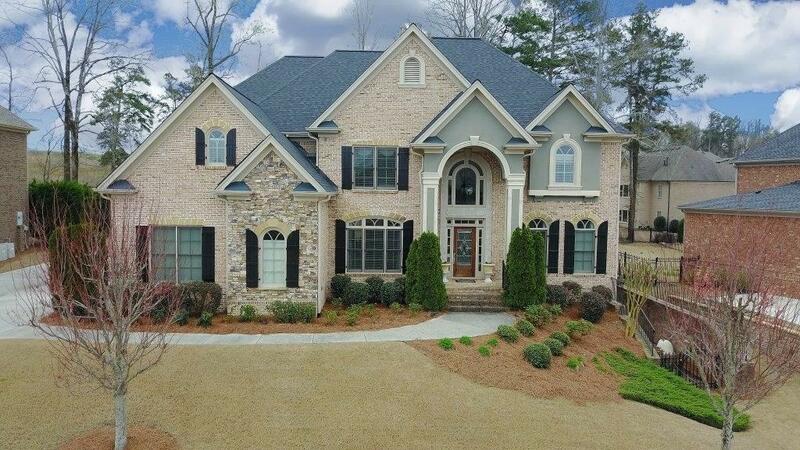 6 Bedroom, 4 Bath Beauty in Hedgerows! Great Condition and ready to go! Hardwood Floors on Main including Private Guest Suite. Home Office/Library, Spacious Family Room with Coffered Ceiling/Marble Fireplace with Built-ins. State of the Art Chef's Kitchen with wonderful working Island. Upgraded Appliances & Custom Cabinetry. Master Retreat with Spa Bath, Upper Level offers Step up Media Rm+5 Bedrooms! Full Lower Level, Custom Stone Patio offering Views to Private Backyard. Extensive trim and Custom Finishing's Throughout. Active Swim/Tennis Community!